AUSTIN, TX--(Marketwired - Jun 22, 2015) - Austin Pain Associates (APA), the leader in pain management in central Texas, is pleased to announce that it has appointed Thomas D. Johnston, J.D., as chief executive officer and Twyla Fuertes as chief business officer. Mr. Johnston and Ms. Fuertes have joined APA's Executive Leadership Team, which includes Robert P. Wills, M.D., founder and president, and Brannon R. Frank, M.D., medical director. Mr. Johnston brings more than 28 years of healthcare executive experience in operations, strategy, leadership, business development and marketing to APA. Ms. Fuertes has over 23 years of experience in medical practice development, consulting and business management. "Tom's background as a physician group and hospital group practice leader, business developer and national healthcare management consultant makes him an ideal addition as CEO," said Robert P. Wills, M.D., founder and president of APA. "Twyla also has extensive experience in business operations and growing healthcare practices. Both will be valuable assets for us during this exciting time of growth in our practice." Prior to joining the executive leadership team at APA, Mr. Johnston was CEO of EmployerDirect Healthcare, a leader in value-based healthcare for large employers with self-funded medical plans. He was also vice president at Paragon Health, a director at Navigant Consulting's Healthcare Division, and CEO of Cardiothoracic & Vascular Surgeons, PA of Austin for more than 14 years. The group eventually gained national prominence as a partner in the development of the "Heart Hospital of Austin." Mr. Johnston also served as vice president of Eisenhower Medical Center in Rancho Mirage, Calif., where he managed the integration of several large specialty physician practices working in 10 medical clinics throughout the California desert region. 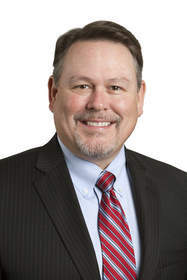 He also served as president for both the Texas Medical Group Management Association and Surgical Leadership Alliance, and co-founded the Capital City Medical Group Administrators in Austin. "APA is the fastest growing pain management organization with the largest number of patient visits in Austin and the surrounding areas," said Mr. Johnston. "Our physicians have more collective experience than any other group, which definitely sets us apart, and I look forward to helping the organization expand its role as the leading provider of multi-disciplinary pain management services in central Texas and beyond." Prior to joining APA, Ms. Fuertes served as the chief business officer for Texas Orthopedics, Sports and Rehabilitation Associates in Austin for 18 years. During that time, the practice grew more than 300 percent and added an ambulatory surgery center, physical therapy and MRI services. Ms. Fuertes managed successful business and reception departments throughout that growth, bringing innovative solutions to the business operations that led to recognition as an industry leader among orthopedic peers. In addition, she spent several years consulting for orthopedic and neurology private practices, and served as a speaker for Experian Healthcare, formerly Medical Present Value, and the Division of Workers' Compensation's annual conferences. 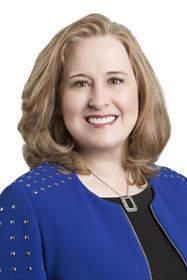 Ms. Fuertes has also published articles in Advance for Health Information Executives and Private Payer News, and is a member of the Texas Medical Group Management Association (MGMA). "I'm excited to join APA's executive leadership team," said Ms. Fuertes. "The organization has built an excellent reputation and with 10 convenient locations, we are extremely well positioned to expand our market leadership." Austin Pain Associates (APA), the leader in pain management in central Texas, uses a multidisciplinary approach to reduce pain and restore function by creating an individualized treatment plan that addresses the physical, functional, psychological and emotional aspects of pain. Treatment options include behavioral health, medication management, interventional procedures, alternative therapies, physical therapy and rehabilitation as well as infusion therapy. At APA, we combine our passion for medicine with great compassion for how we treat our patients. APA was founded in 2002 and has grown to 10 physicians across 10 locations making APA the largest pain group in central Texas. For more information about APA, please visit www.AustinPain.com or call (512)416-PAIN (7246). You can also follow APA on Facebook at www.facebook.com/AustinPainManagement, or Twitter at twitter.com/austinpaindocs.